Newcastle owner Mike Ashley is awaiting a follow-up bid from PCP Capital Partners after rebuffing its initial offer for the club. It emerged on Monday evening that one of the parties interested in buying Newcastle, understood to be the PCP group fronted by Amanda Staveley, had tabled a formal offer after spending weeks trawling through its finances. 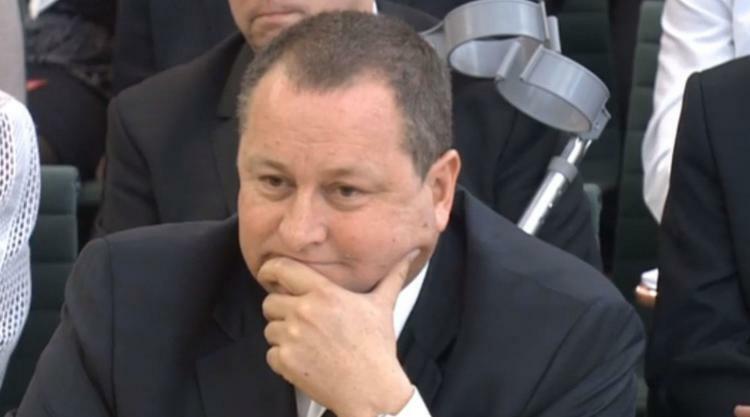 Reports suggested the deal on the table amounted to around Â£300million, a figure which would give Ashley a modest return on the Â£134.4.million he paid for the club and the Â£129million he has since made available in interest-free loans. However, Press Association Sport understands the offer was closer to Â£280million, and that much of that was dependent upon a series of future performance-based clauses. It is also understood it included a relegation clause which stipulated a repayment should the club drop out if the Premier League once again. That simply does not meet Ashley's requirements with the sportswear magnate looking for an agreed figure, although he has made it clear from the outset that he will accept payment in instalments. There was some disquiet on Tyneside that news of the bid had leaked out with a series of prospective buyers, among them PCP, having signed non-disclosure agreements with the club and there is a desire for the negotiations not to be played out in public. Staveley, who helped broker the takeover of Manchester City in 2008, was never likely to declare her hand first time out and it seems likely that an improved offer will be made in due course. It remains to be seen whether or not any of the other potential purchasers will be prompted to move now that the first shot has been fired.